This Rakhi surprise your family and relatives with delicious Badam ka Halwa. 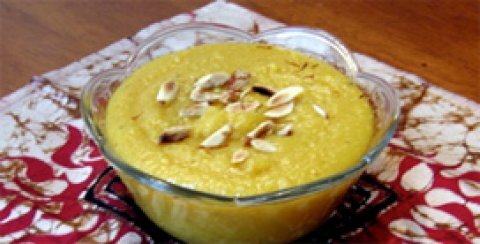 Here’s the recipe for mouthwatering Badam ka Halwa. You need to soak almonds and poppy seeds in milk for that added softness. Grind them separately with milk in which they socked. Heat a pan with ghee, add both the mixtures in it & fry them on medium heat for 20 min. Now add milk & then sugar & fry it again for 5-7 min. Now add cardamom powder & cashew & remove it from fire.